MANILA, Philippines — The leader of the largest Muslim rebel group in the Philippines said Tuesday that 30,000 to 40,000 armed fighters would be "decommissioned" if an autonomy deal that is expected to be signed into law by the president this week is fully enforced. 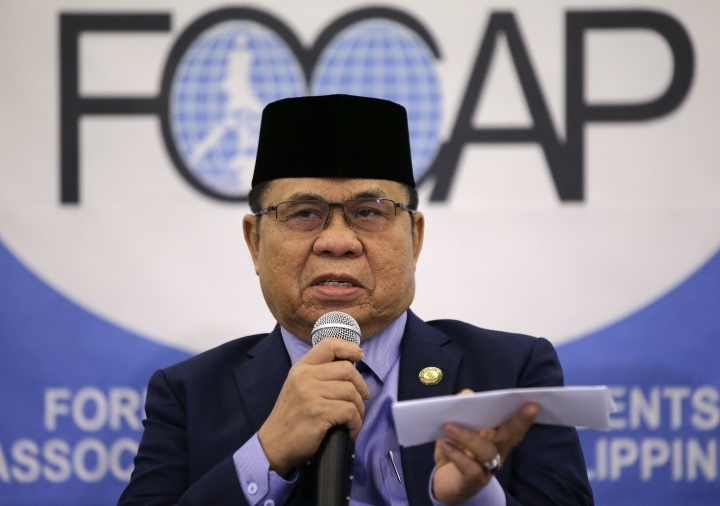 Al Haj Murad Ebrahim, chairman of the Moro Islamic Liberation Front, said six of the largest guerrilla camps in the south were already being converted into "productive civilian communities" to help the insurgents return to normal life. Clad in a business suit, Murad appealed to the international community to contribute to a trust fund to be used to finance the insurgents' transition from decades of waging one of Asia's longest rebellions. "We will decommission our forces, the entire forces," Murad said at a news conference in Manila. He said his guerrilla group has told the government how many fighters it has, although he declined to immediately cite the number of weapons that "will be put beyond use." The military has put the Moro rebel group's size at a much lower 11,000 fighters. Murad, who used to head the rebels' large combat force, welcomed the ratification by the House of Representatives on Tuesday of the Muslim autonomy deal after a one-day delay caused by a chaotic leadership change in Congress. The legislation, which was ratified by the Senate on Monday, is to be sent to President Rodrigo Duterte for signing in a day or two. The bill seeks to replace an existing poverty- and conflict-wracked autonomous region with a potentially larger, better-funded and more powerful region named Bangsamoro for minority Muslims in the southern third of the largely Roman Catholic nation. The autonomy deal is the latest significant attempt by the government to negotiate an end to nearly half a century of on-and-off Muslim fighting that has left more than 120,000 people dead and hampered development in the country's poorest regions. Murad's guerrilla force is the second in the south to have dropped a demand for a separate Muslim state in exchange for autonomy. 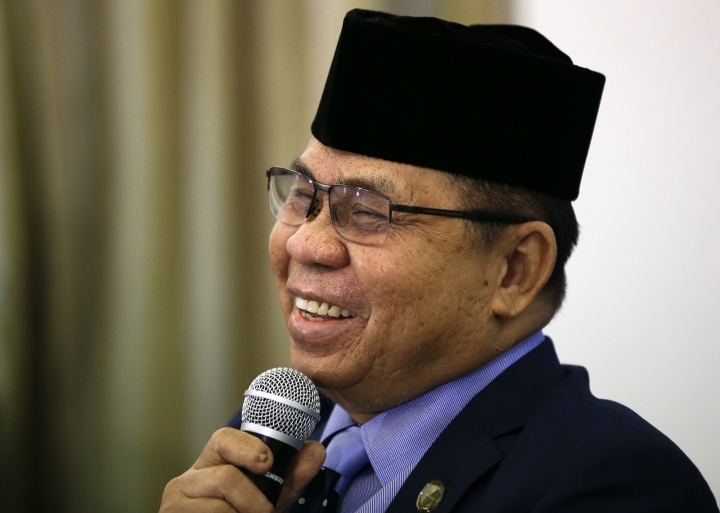 The Moro National Liberation Front forged a 1996 peace deal with the government that led to the current five-province Muslim autonomous region, which has largely been regarded as a failure. Western governments have welcomed the autonomy pacts, while worrying that small numbers of Islamic State group-linked militants from the Middle East and Southeast Asia could forge an alliance with Filipino insurgents and turn the south into a breeding ground for extremists. Murad said it's crucial for the peace agreement to be fully enforced, citing how earlier failed attempts forced some guerrillas to break away and form more hard-line groups like the Abu Sayyaf, a brutal group listed by the United States and the Philippines as a terrorist organization. "We can roughly conclude that all these splinter groups are a result of the frustration with the peace process," Murad said. Delays in the peace deal prompted some militants to break off from Murad's rebel group, he said. Those militants were among the black flag-waving fighters who swore allegiance to the Islamic State group and laid siege to the southern Islamic city of Marawi last year. Troops backed by U.S. and Australian surveillance aircraft routed the militants after five months of airstrikes and ground assaults that left more than 1,200 people, mostly Islamic fighters, dead and the mosque-studded city in ruins. Murad said the hard-line groups could be weaned back to mainstream society if the peace deal succeeds and is embraced by the people. If they continue fighting, he said "it would be very difficult for them to exist" without community support.